TRENTON-- Anwar's Reflections-- a Trentonian affiliate-- sat down with East Trenton community activist Dion Clark Saturday morning to discuss his lifelong commitment to community service. Recently, Clark said good bye to his life of activism and community service after suffering a heart attack at the age of 49. While working in the community, Clark has run for political office and consistently fought for quality of life issues like eliminating urban blight and keeping elected officials accountable. Along with this, Clark demonstrated his commitment to the community by not missing a single City Council meeting. Rain or shine, the East Trenton native was there. In the past, Clark has been recognized by individuals like State Senator Shirley Turner, Congressman Rush Holt, and others for his work in the community. Clark is Anwar's Reflections first ever recipient of the Community Servant of the Year Award for his work and dedication to the community. 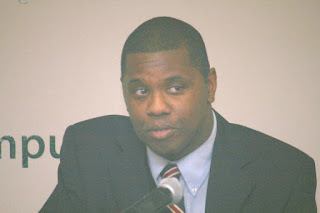 In an exclusive interview, Clark said that he has always sought to be "a good neighbor" to others when doing work in the community. He said this desire ultimately came from the way he was raised. Clark went on to say that despite walking away from his life of activism, he hopes others will pick up where he left off and keep working. 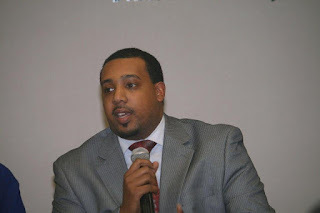 TRENTON-- Anwar's Reflections-- a Trentonian affiliate-- sat down with a Trenton parent that turned the pain she experienced with the Trenton Public School System into having a firm and steady purpose to help others. Recently, I met and had an interview with Nicole Whitfield, a Trenton parent and now president of the Trenton Special Parent Advocacy Group (TSPAG), a local non-profit organization that aims to help provide information and advocacy to parents with children that have special needs. During our short interview, Whitfield discussed why she launched the non-profit, and what she and her group were currently doing to help other parents in need. Whitfield is a parent of a child that was diagnosed with autism at age 3, a developmental disorder that is typically diagnosed in early childhood, this is a major reason why the Trenton resident started this non-profit organization. As a parent with a child that has special needs herself, Whitfield recognized the need to be informed about her child's rights. 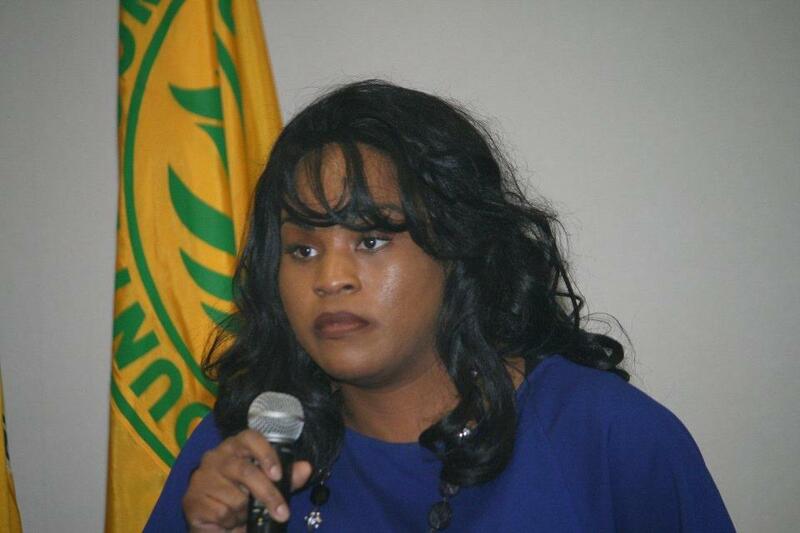 After moving from Willingboro to Trenton, Whitfield found that she was encountering many roadblocks and issues with the Trenton Public School System as it related to her child's education. Issues like her child not being pulled for his required speech therapy sessions. Issues like spending hours at the school board to make sure the school was complying with her child's Individualized Education Program or Plan (IEP). An IEP is a written statement for a child with a disability that is developed, reviewed, and revised in a meeting in keeping with certain requirements of law and regulations according to the National Dissemination Center for Children With Disabilities' website. Through her struggle with the school system, Whitfield says that she had cried many tears, and it was through that pain that she launched her non-profit organization. In an interview, Whitfield said, "I vowed to be my son’s best advocate and my only goal is to teach other parents how to do the same while making our school districts accountable for not providing the services that our children are entitled to". Today, Whitfield, as a concerned parent, seeks to help bridge the information gap between the parent and the school district by acting an advocate. According to the non-profit's organizations website, TSPAG's mission statement is to "create pathways to equitable education for children with special needs". Indeed, in today's busy world, many parents face obstacles like not having enough information, not knowing the right questions to ask or the right people to talk to. This is where TSPAG comes in. They provide advocacy and assistance in these areas. After speaking to Whitfield, I interviewed some individuals that received some of TSPAG's services. In interview after interview, I was told by parents that they too had experienced difficulty with the Trenton Public School System regarding their child's (IEP). Concerned parent Felicia Gilmore said that her son who is diagnosed with ADHD was not receiving the proper services from the child study team in regards to his IEP. After speaking with several people, I was told that I should get an advocate. I got Nicole’s phone number from another organization that could not help me with these issues. Gilmore went on to say that TSPAG has helped her in several different ways by going with her to all of her meetings regarding her son’s I.E.P and providing her with support from start to finish, along with answering any questions she had. Gilmore also reports that Whitfield explained things that I didn’t understand regarding Special Education and the I.E.P for my son. According to another parent, Pia Odom Barksdale, she and Whitfield immediately clicked because as she says, "it was comforting to see that someone else that went through the same thing as I did". Barksdale went on to say that TSPAG will speak on your behalf and help you understand your child’s rights when it comes to education, especially special needs education. Dorothy Huss, another concerned parent, said that Whitfield was like a pit-bull when advocating on her and her child's behalf. Huss said that she wouldn't let up and that advocacy groups like TSPAG are important because so many parents accept things and don't hold the school board accountable when the school board says that your child has a problem. As things stand today, Whitfield and her non-profit organization report that despite putting out flyers, mass emails, and using social media like Facebook, they are still facing the challenge of not receiving enough exposure publicly. For more information on the non-profit or how to get involved, visit their website by clicking here or you can contact Nicole Whitfield by emailing her at nwhitfield@tspag.org. WEST WINDSOR-- Local playwright kicks off Black History Month with a showing of 1960: Black at Mercer County Community College's Kelsey Theater last week. Rashad Walker, a Trenton resident, wrote, directed, and acted in this original stage play that chronicles each year of the Civil Rights Movement that occurred in the 1960's. In the play, Walker explores non-violent demonstrations, interracial marriage, the death of civil rights leaders, black militancy, desegregation, and other issues. This was not the first showing of the play. It was originally performed at Walker's alma mater, Rider University in 2010, with an all-student cast. This time around, Walker brought back many of the actors from the original play, but at the same time he has brought on some new faces as well. This showing brought out a good number of people on a Saturday afternoon. Through interviews, everyone said they enjoyed the play for both educational and entertainment purposes. Audience member, Latonda McCleese, said her son was in the play and that she enjoyed it. She went on to say that despite there being some serious parts in the play, they were still able to lighten the mood. Another audience member Greg Wallace said that he gives the play a 10 and said Walker takes the audience on a journey through the Civil Rights Movement while at the same time keeps them engaged and entertained. In the past, the Trenton born playwright has said in an interview that he was motivated to write and direct this stage play because "he wanted to educate people". Walker went on to say that at the end of the day, he wanted people to understand the significance of some sacrifices and contributions that individuals made during the Civil Rights Movement. The play's actors include Reggie Walker, TJ Converly, Caitlin Fair, Rance Robeson, Allen Sexton, Sherlita McCan, Kareem Moseley, Darraine Gibson, Jarrett Minor, and Destyne Pitts. The play will be featured again February 19th and February 21st at Caldwell College at 7:30 pm. 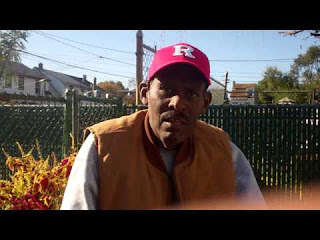 TRENTON-- Tuesday and Wednesday evening, Anwar's Reflections-- a Trentonian affiliate--sat down with a variety of individuals from the community to have a real discussion about where we as a community are headed in light of the many social problems inner cities like Trenton face. Issues like violence (24 homicides in 2012), poverty (i.e., an 11.6 unemployment rate), and education issues (48% high school graduation rate in 2011). These discussions came the day after the nation took a moment to nationally recognize slain civil rights leader, the Rev. Dr. Martin Luther King, Jr.
During his lifetime, Dr. King raised the fundamental question: Where Do We Go From Here: Chaos or Community? Indeed, this became the central focus of our discussions Tuesday and Wednesday night. During the events, one individual, Raul Polo Cortes, a well-known poet, said that we need to come together and get involved. While Ms. Simms, a concerned Trenton resident said that she had her pen and paper ready to take down any viable solutions members of the community forum had about going forward. On the following night, Willingboro resident and military veteran Rance Robeson said that we need to work with others to improve the community and honor the life and legacy of Dr. King. 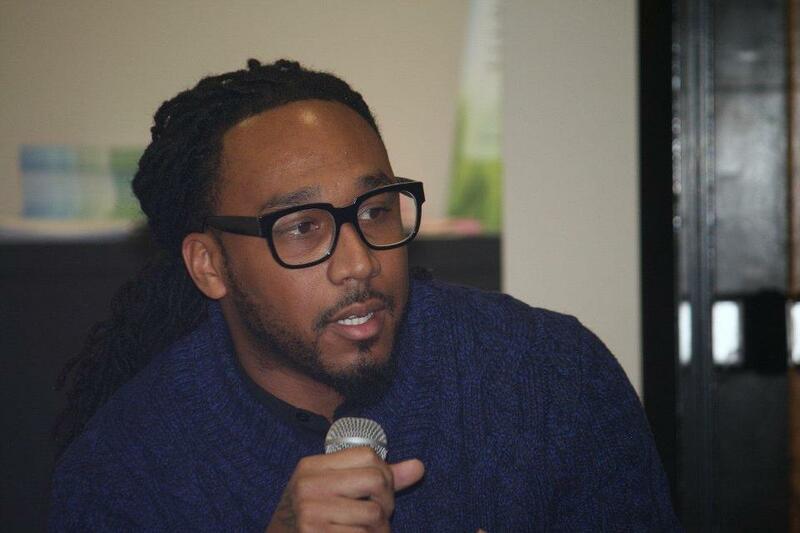 New Black Panther Party Spokesperson Divine Allah said that he is going to continue to do what he is doing in the community and stick to his principles. Community activist Kieanna Childs Alexander said that we need to make sure we understand our history so that we never forget where we came from. 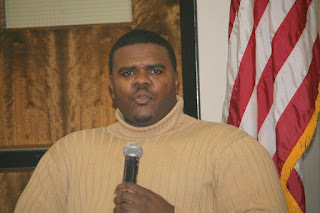 Writer Will Deshair Foskey said that we need to be fearless as we try to improve our communities. All of the panelists said that we need to do more than just repeat the marches, rallies, and demonstrations that took place during the Civil Rights Movement to galvanize or energize the public. Rashad Walker said that we need to set up a concrete action plan to deal with community issues. Others said that we need to work with and speak to our lawmakers and city council members to address social ills. I , as the moderator, went on to say that we need to capitlize on our unique skill sets and get involved in whatever ways those skill sets can be utilized. For instance, if you have knack for tutoring, why not be a tutor? If you have a gift for mentoring, then why not mentor, and so on. Overall, the discussions shed light on future directions but still need to be more specific in terms of addressing current issues like education, public safety, and quality of life problems. Neikel Butler from the Boys and Girls Club brought poets from her poetry program and they recited their work.